succeeded him continued this work. 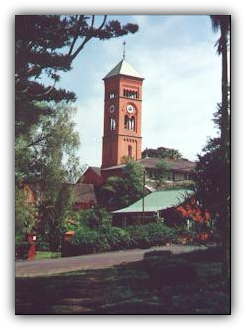 assume the shape of a modern missionary institute, and it expanded its American base. The first priest arrived in 1921 to join the three brothersalready in the States. They purchased their first residence located in Detroit, Michigan and immediately made plans to produce their own mission magazine. From its very beginning Mariannhill learned from Abbot Pfanner the advantage, even necessity, of the printed word to publicize its mission work and garner wide support for it. It also discovered, when World War I interrupted the flow of magazines from Europe, the necessity to print its own American magazine. "Mariannhill Missionary" began in 1922 with four editions each in a different language: English, German, Polish and French. Within two years the French and German editions were discontinued because of insufficient circulation. Three years later the magazine was renamed The Apostle and gradually changed its viewpoint to that of a Catholic family periodical. The Apostle continued publication until 1969. In 1938 Mariannhill began a second publication, Leaves magazine, a bi-monthly devotional periodical. Popular with many American Catholics from the start, today it counts almost 37,000 subscriptions. As early as 1923, when Mariannhill purchased a farm near Brighton, Michigan, it entertained the hope of opening its own training center for Americans who wished to become members of the religious order. Not until 1936, when the Diocese of Sioux Falls, S. Dakota, made Mariannhill an attractive offer for starting a minor seminary, was its hope realized. But before the seminary could begin, Mariannhill needed to assemble a teaching staff mostly of its own priests from Europe. The number of members in the States more than doubled in two years: from thirteen to thirty. By 1938 there were enough members in the States to officially be recognized as a separate province. So the American province was born. 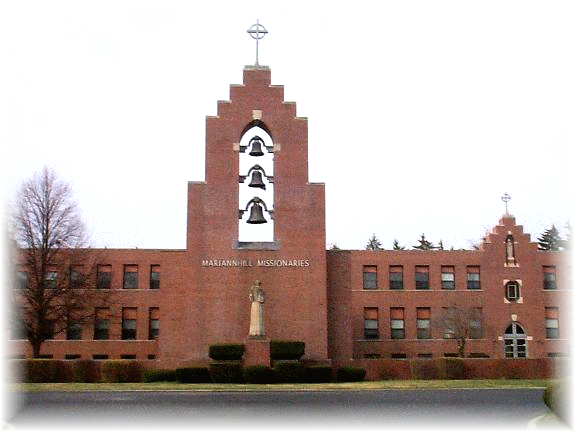 School began at St. Bernard Seminary in 1937 in Souix Falls, South Dakota and continued until 1943 when the diocese of Sioux Falls sold the school building to the American government. Mariannhill then moved its staff and students to temporary quarters in Brighton, Michigan. Six years later the students were moved to their new home, St. Bernard's Seminary, in Dearborn Heights, Michigan. still in operation today, even though St.
Mariannhll brothers and priests, an office for printed publications (where Leaves Magazine is published), a formation center for future priests and brothers, and the Mariannhill Retreat Center. Over the years our activities have changed, but basically our work is still the same: training new members and presenting them for missionary service, publicizing their work and supporting it with our prayers and alms, spreading the Gospel through our printed publications and preaching the word of God. The needs of today call for new methods more so than ever before. Confident of God's guidance, we adapt to the times so that we may be effective tools in His hand for extending His Church to the ends of the earth.